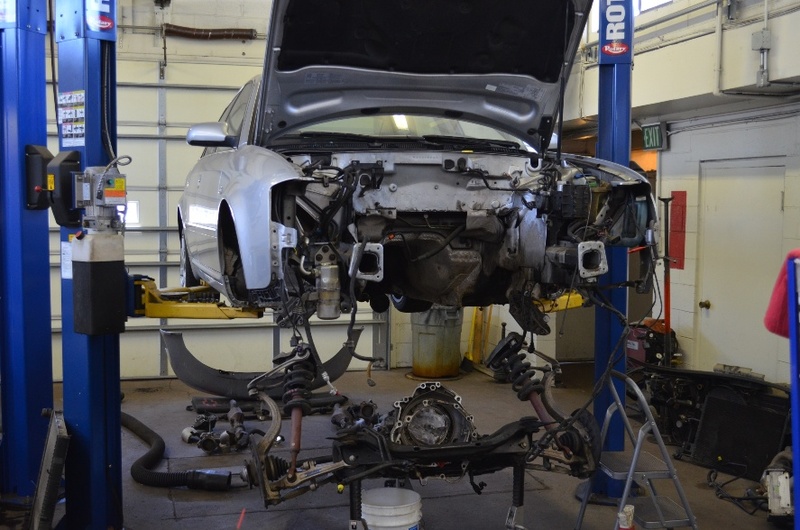 The pictures you see are of an engine and turbo repair for an Audi vehicle from an oil pan that was damaged and the driver did not heed the Audi’s engine light when it came on. They kept driving the car until the engine seized up. In order to get to the turbocharger and the engine the driveline of the Audi had to be removed first. The main bearings on the crank shaft were damaged and the engine and turbo both need to be rebuilt. We hope nothing like this ever happens to your vehicle. If your warning light comes on make sure you take action by checking the oil and giving us a call to set up an appointment. 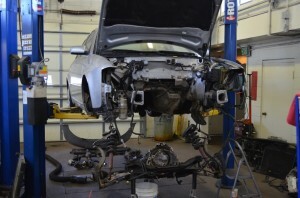 We will run a complete diagnostics test on your vehicle and then give you an estimate on the cost. EuroService’s auto mechanics are all MAC certified for Porsche, Audi, and BMW. 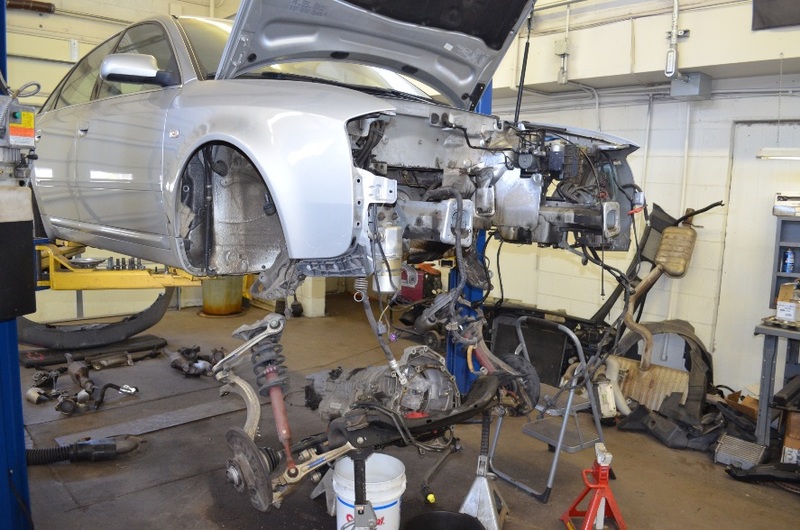 We will get your vehicle running nicely in a timely manner. 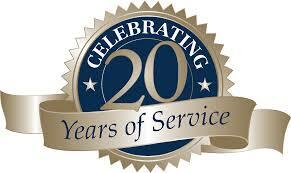 You can always trust EuroService to give you an honest assessment of what your car needs!